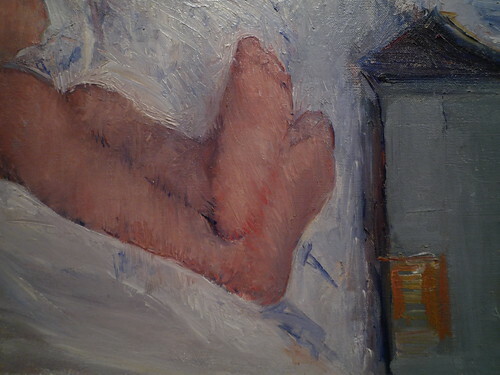 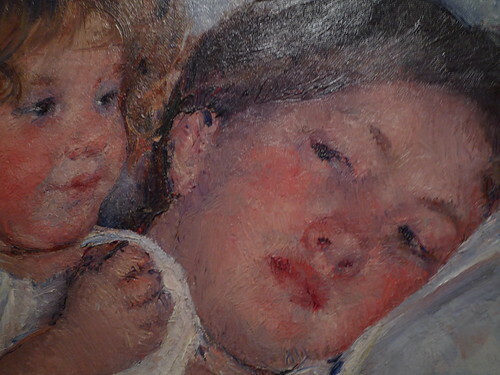 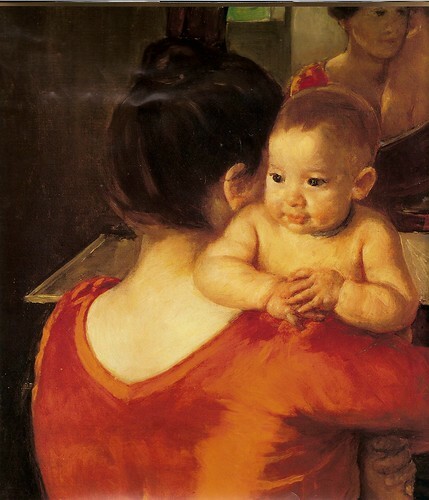 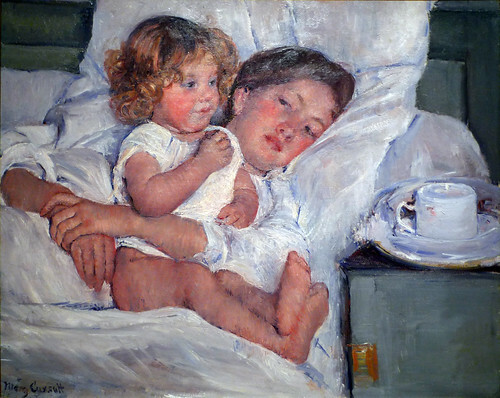 Today I want to share with you some images of artwork by Mary Cassatt. 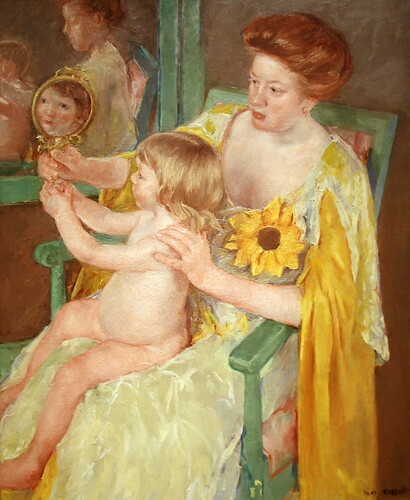 Finishing the still life with a portion of a Mary Cassatt pastel this week got me thinking about her work and how she depicted the special bond between mother and child. 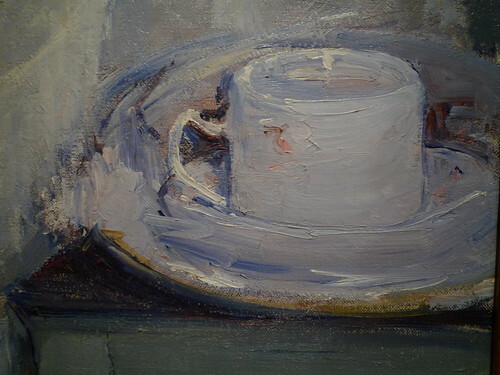 Yet as special and evocative as her images are, what is also remarkable about her work is the way she utilized color to create form. 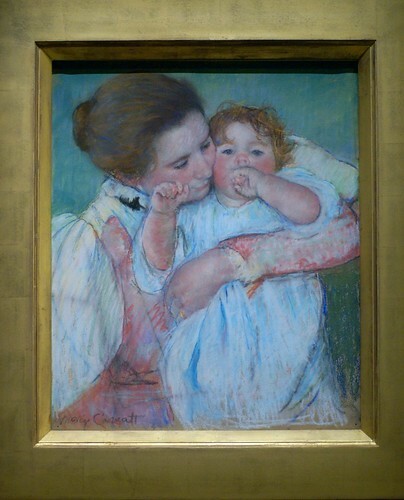 She was a master of laying layers of color on top of each other to create complex and compelling passages in her work. 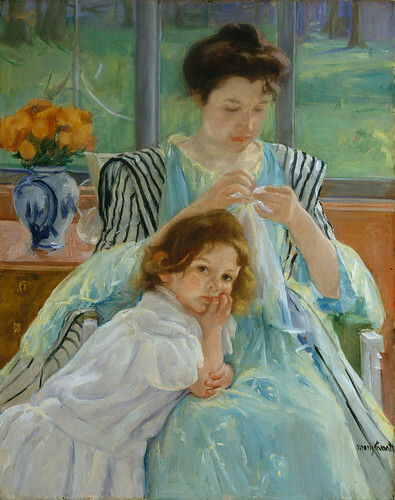 She utilized the impressionist practice of producing color vibrations between complementary colors, laying pure color notes on top of one another without mixing the two colors together, but instead having the eye of the viewer do the "mixing".